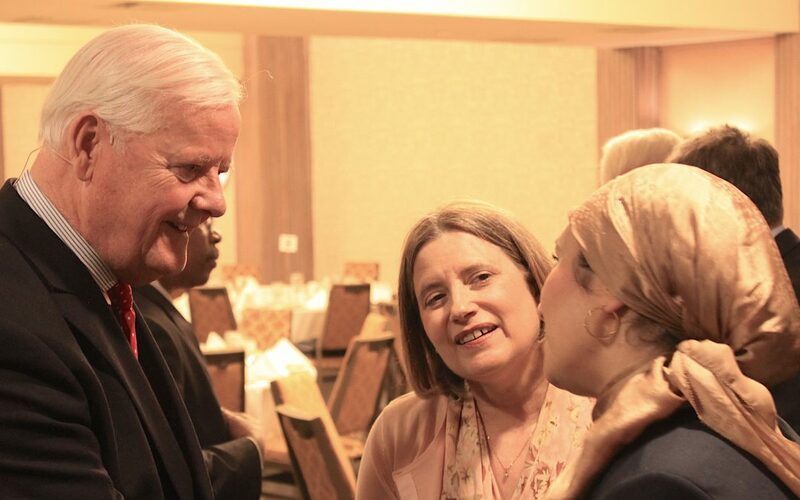 Through our networking luncheons and dinners, the Christian Embassy provides a platform for more than 100 diplomats, parliamentarians and business leaders to make meaningful connections that inform and inspire. You will also have the opportunity to hear a Christian leader talk about their professional experience and how a personal relationship with God impacts their personal and professional life. Notable speakers have included company presidents and cabinet ministers. Additionally, the Christian Embassy hosts an annual Christmas Dinner to which spouses are also invited. "I desire to be involved with the seminars and luncheons of the Christian Embassy because of the important life issues presented and the opportunities to meet people of faith." Not only was the speaker's message very pertinent, it also reflected the pervasive feeling of generosity and openness across these countless tables at which your multinational guests were seated. No barriers, it seemed, of any kind, between so many peoples and faiths, all thanks to your huge ecumenical efforts. You are doing an excellent job. Bravo. Keep on choosing excellent speakers to share their Christian experience with others.